At the end of the Summer, we had a great interview with the new head of the kRO development team, Mr. Sung. 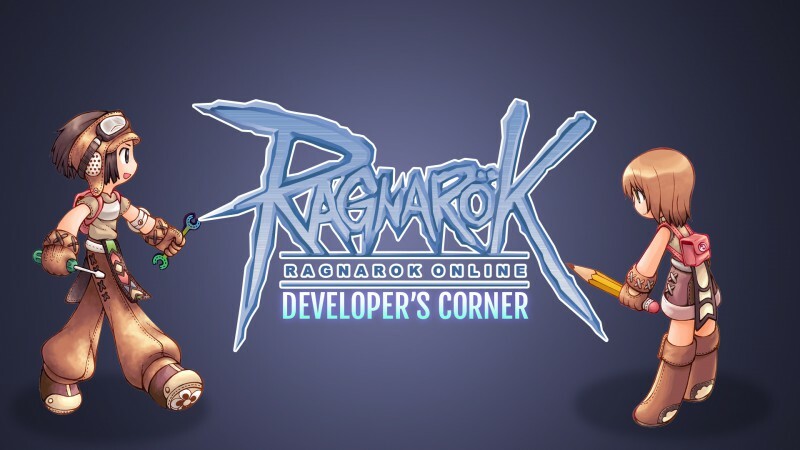 He sat down with us to talk about what he worked on for Ragnarok before becoming the head honcho as well as future plans for the game. We also got answers for questions that our community asked here. 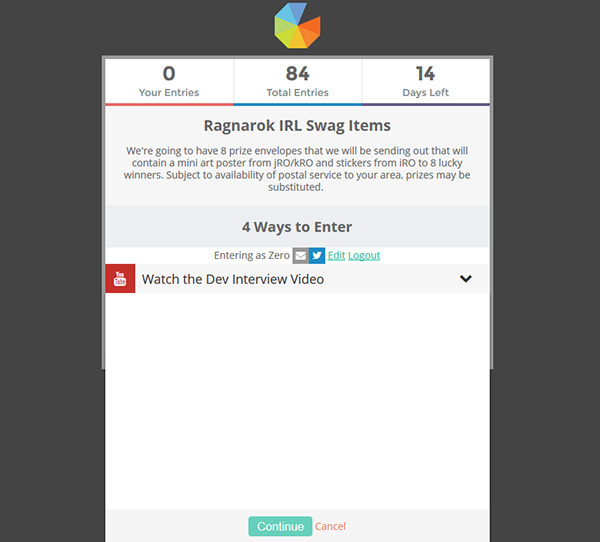 As a first, we're running a share contest through gleem.io (which has recently been used by our Ragnarok 2 team) where you can earn entries for retweeting, liking on facebook and watching the interview video. You will be able to enter from now until 11:59PM 26th October 2016. After that, we will choose 8 random entries to win a IRL swag pack. In this pack we will be mailing a kRO/jRO mini poster/postcard and iRO stickers. Depending on your postal availability, we may have to substitute prizes. Addendum: If you are on the gleam.io site and can't get the video to play, you must temporarily disable adblock on the page. Click the banner below to take you to our campaign page. At least you guys are actually doing advertisement now so I guess that's nice. Edited by Diskence, 12 October 2016 - 11:01 AM. I thought the prize was an in game item. Same. I'm getting nothing. What are the system requirements for this? Refreshing the page made it work. Spent 4 years getting old content ready for us and it's still not ready. Le sigh. Also not very encouraging that instead of re-implementing the Auction Hall, they're simply going to develop legal bot vendors. For now, we don't have plans to undergo a graphical update for anything outside the Prontera area. OMG, the game is going to look even more out of whack with an updated Prontera and Lasagna smack dab in the middle of old graphics. I'd say its more like Retainers and a market board. Not like player vendors provide much conversation anyhow. Can anyone post the YouTube link? I want see those Korean try to play RO in this server, they can use their favorite classes, and try to solve some quest, try TI, and stuff, they must say something if they feel something not right and if they feel something is normal. Some staff (Oda) read the comment panel, and tell those korean something they should try. We have sent out emails to the 8 lucky winners of this event and will be in contact with them to get shipping information. Thank you for your patience!